Read me, eat me, love me. 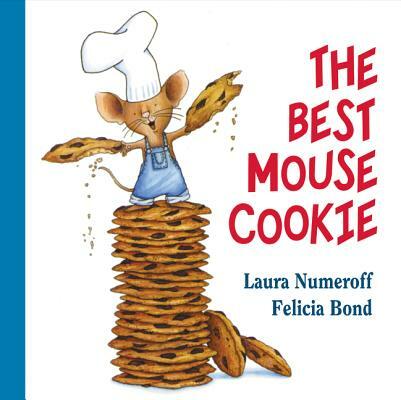 Today we’re all about cookies with our yummy baker’s dozen of favorite cookie picture books. Mmmm! Can you smell the rich buttery goodness of these lovingly baked stories? These chewy charmers are flavored with a good measure of humor, mystery, suspense, excitement, wisdom, and whimsy for a satisfying read any time. 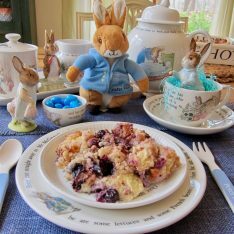 Whether it involves gingerbread boys, kangaroos, monkeys, cats, cows, ducklings or detectives, we see how this favorite childhood treat can be smart and tough, with crumble-proof narratives to hit the spot. So grab a cold glass of milk, settle in your favorite chair, and reach right into the cookie jar. 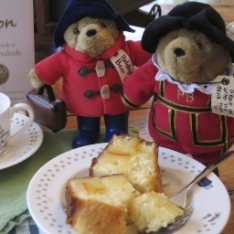 Happy story-nibbling! Who Put the Cookies in the Cookie Jar? by George Shannon and Julie Paschkis (Henry Holt, 2013). 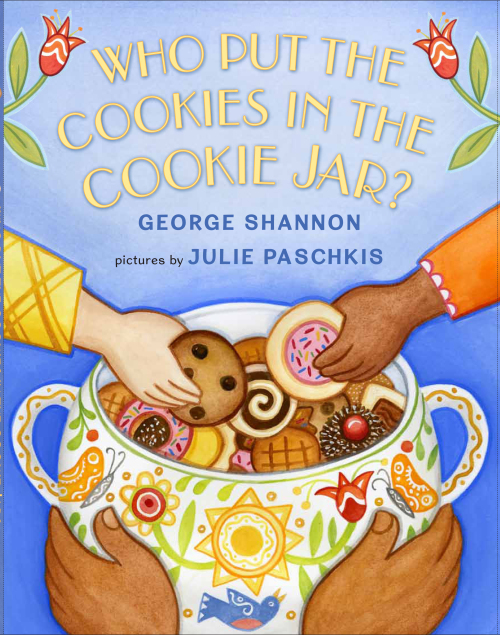 With buoyant rhyming text and gorgeous folkloric illustrations, Shannon and Paschkis beautifully show how it takes many hands working together to produce the cookies we all enjoy. 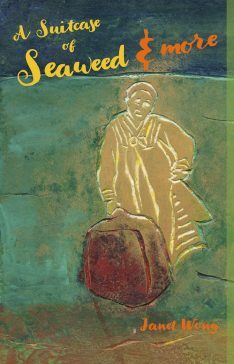 With enthusiastic nods to those who grow the wheat, milk the cows, churn the butter, feed the hens, harvest the sugar cane, truck the goods, stock the shelves, and mix the dough, this book celebrates our industrious multicultural world community and reminds us that each job and worker counts — even the steelmaker who makes the cookie sheets and the seamstress who sews the oven mitts. Many hands put the cookies in the jar, so one hand can take a cookie out. Delicious, informative and thought provoking. *Includes a recipe for Sugar Cookies. 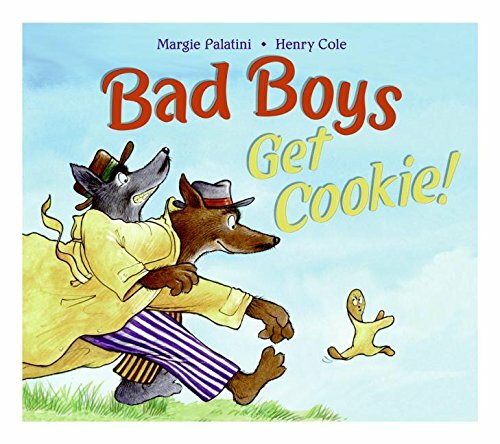 Bad Boys Get Cookie! 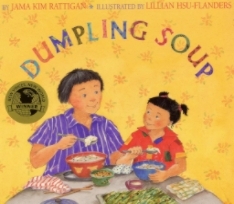 by Margie Palatini and Henry Cole (HarperCollins, 2006). Wily and wolfish bad, bad boys Willy and Wally are back with insatiable sweet tooths in this rollicking mash-up of The Gingerbread Boy, The Three Pigs and Hansel and Gretel. When the baker calls for help in capturing his runaway gingerbread cookie, Willy and Wally pose as detectives, licking their chops as they go out on a limb, disguise themselves and set out a honey trap. But none of their ploys can hold a candle to the smarts of the sassy, taunting Cookie, who outruns and outwits them at every turn. When a hungry croc eyes up their cute little snack, these bad boys set their sights on a more substantial meal. Lots of action, slapstick, puns, toothy grins, empty cookie boxes and candy wrappers to keep munchkins engaged in this funny fairy tale feast. Tough Cookie by David Wisniewski (Lothrop, Lee & Shepard Books, 1999). 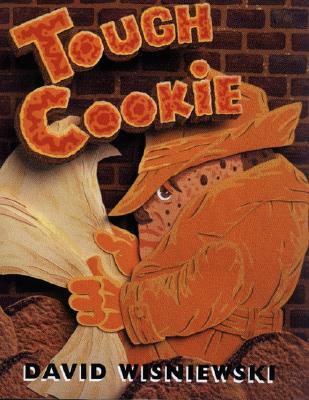 In this hilarious and clever crime caper spoof, stale and chocolate chip pock-marked veteran Tough Cookie learns that the notorious Fingers has snatched his old partner Chips. Complete with Bogart-esque staccato dialog, tongue-in-cheek pathos and witty wordplay, this toothsome tale is set in a multi-leveled cookie jar, where living status is determined by freshness and sell-by date. When Tough Cookie (once a crackerjack cop who with Chips busted the Ginger Snaps and broke up the Macaroons), braves a trip from the bottom of the jar to the top to help his friend, he’s cheered on by blonde bombshell Pecan Sandy and aided by thousands of grateful Crumbs who attack Fingers. Wisniewski’s masterful cut paper collages effectively amplify the film noir tone while depicting Tough Cookie’s hard edges. 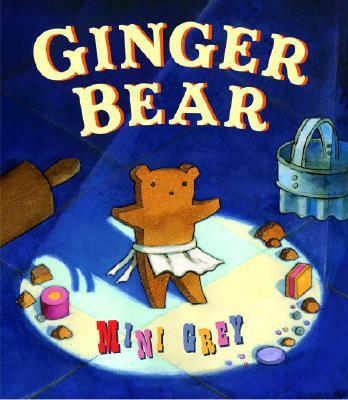 Ginger Bear by Mini Grey (Alfred A. Knopf, 2004). It’s hard not to love this sweet story about a resourceful gingerbread bear who successfully finds a way to escape being eaten. Young Horace bakes Ginger Bear but for a variety of reasons never gets around to eating him. 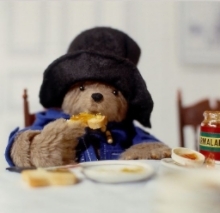 He places the cookie in a little tin on his pillow, and while he’s fast asleep, Ginger Bear awakes and decides to bake a batch of friends to play with. After decorating them with multi-colored icings, sprinkles, candied peels, glacé cherries, and little silver balls, Ginger Bear rounds them up for his very own circus. Oh the thrill of seeing the acrobats tossing and tumbling, the Strongbear raising the rolling pin, the Aeronaut being fired from the ketchup bottle! Luckily, Ginger Bear manages to “clamber to safety” just in time when cookie-loving Bongo the Dog abruptly ends their fun. Ginger Bear proves to be the smartest cookie of all when he finds a new career in a bake shop window display. Adorable illustrations with plenty of delectable details make for an irresistible adventure. 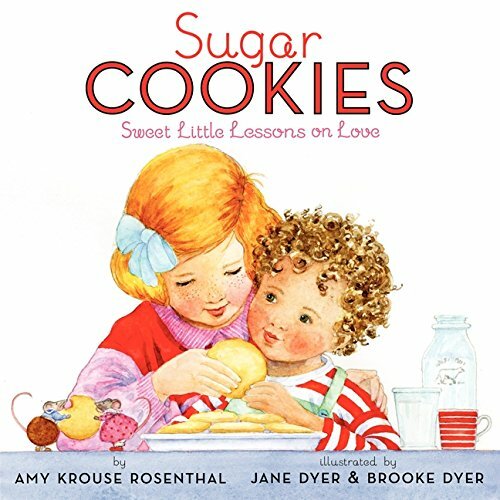 Sugar Cookies: Sweet Little Lessons on Love by Amy Krouse Rosenthal, Jane Dyer and Brooke Dyer (HarperCollins, 2009). The third book in this truly delightful series contains illustrated definitions of important concepts explained in terms of baking, eating and sharing cookies. “ADORE means, I think you’re simply delicious. Oh I could just gobble you up.” “CONSIDERATE means, I waited until you got home so we could lick the bowl together.” “SELFLESS means, No, really, please, I want you to have the last cookie.” Love the diverse characters who peacefully co-exist with fully clothed animals in encounters that are sweet, tender, sensitive and comforting. The double page spread for CONNECTED, showing two mice baking together, is beyond adorable. *Includes a recipe for Sugar Cookies. 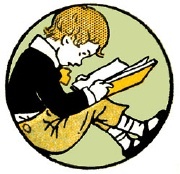 ** See also Cookies: Bite-Size Life Lessons, Christmas Cookies: Bite-Size Holiday Lessons, and One Smart Cookie: Bite-Size Lessons for the School Year and Beyond. No More Cookies! 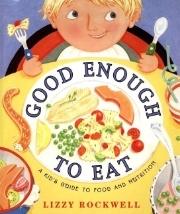 by Paeony Lewis and Brita Granström (Scholastic, 2005). A cute story about how pre-schooler Florence and her plush monkey Arnold try to convince Florence’s mom to give them just one more cookie. Mom has decreed that Florence and Arnold are not to have any more cookies for an entire week because they polished off all the cookies in the tin. The desperate duo dreams up several ploys to get their sugar fix (pretending they’re tooth fairies, nurse and injured monkey, famous chef and assistant), but Mom counters every one with wise responses (cookies are bad for teeth, “injured monkeys need medicine and bandages, not cookies”). Eventually Mom comes up with a good, albeit healthier alternative — instead of more cookies, they can make Magic Monkey Bananas! 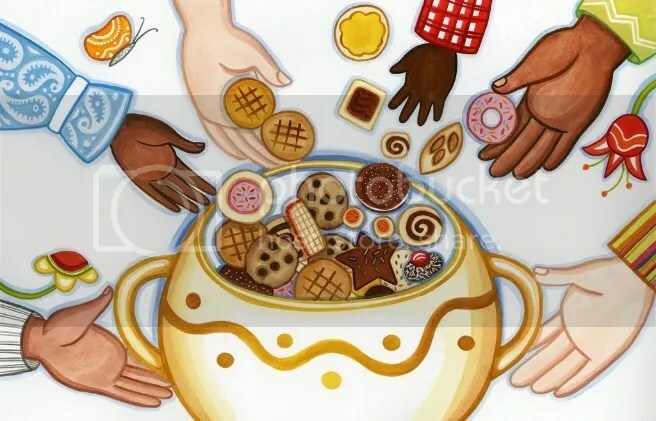 The fun, imaginative play and oversize drawings brim with kid appeal, and of course the desire for just one more cookie resonates with everyone. *Complete with lick-worthy cookie endpapers and a recipe for Magic Monkey Bananas. 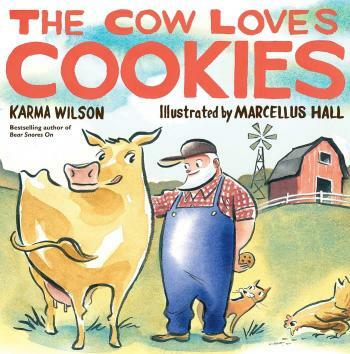 The Cow Loves Cookies by Karma Wilson and Marcellus Hall (Margaret K. McElderry Books, 2010). In this rhyming barnyard romp, we follow the Farmer as he makes the rounds to feed all his animals. As one would expect, the horse loves hay, the chickens their feed, the geese, sweet corn, the pigs, their slop, and the dog his treats. But the cow? He loves cookies! Won’t eat anything else! We eventually learn why the cow loves cookies so much: she and the farmer share a picnic lunch every day. 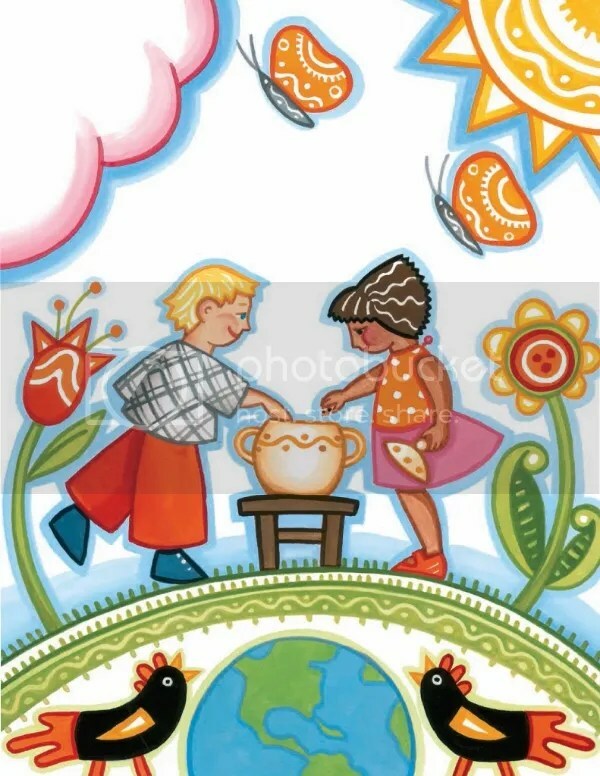 The farmer brings the cookies and the cow provides the milk for dunking. 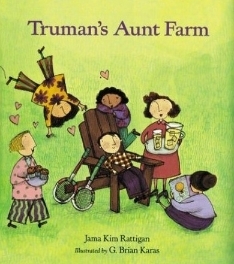 This one begs to be read aloud with its “But Cow loves cookies” refrain, repetition and cumulative structure. What child can resist farmyard animals? Moo! Who Ate All the Cookie Dough? by Karen Beaumont and Eugene Yelchin (Henry Holt, 2008). 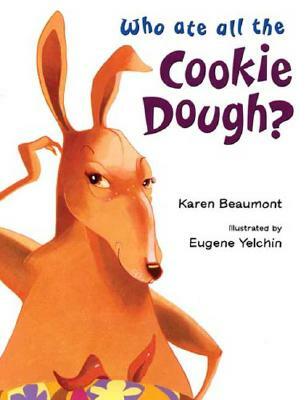 A fun, rhythmic who-dunnit featuring Kanga, who tries to answer the titular question. “Eeny, meeny, miney, moe!/Who ate all the cookie dough?” He questions Lion, Zebra, Llama, Cheetah, Hippo, and Monkey, but they all deny eating the cookie dough. They’re totally baffled by the mystery, but are pleasantly surprised when they finally discover the culprit. The simple repetitive text and appealing animals make for an enjoyable read aloud with a delightful ending that’s as much fun for the characters as the reader. 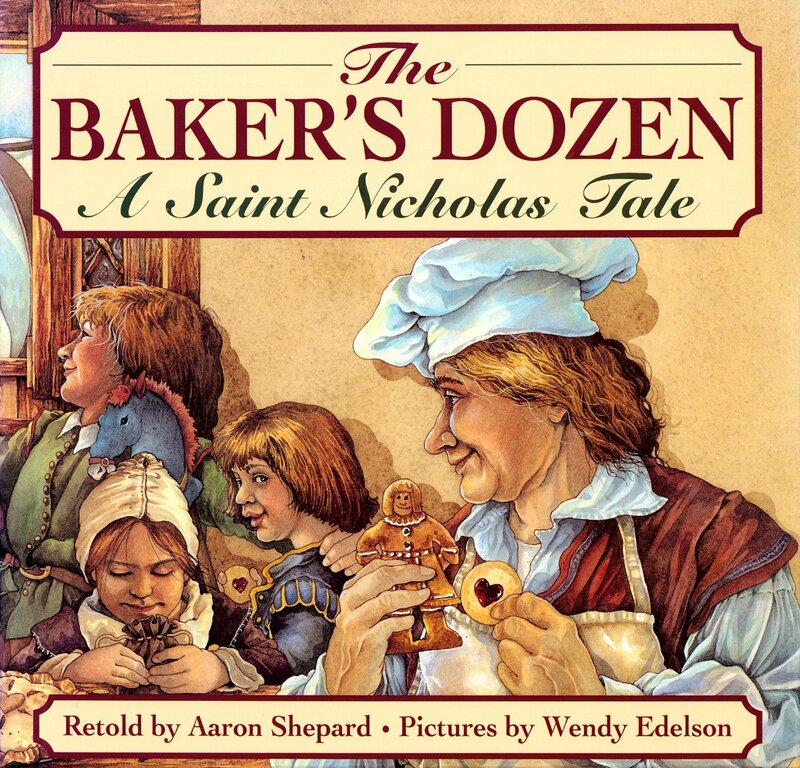 The Baker’s Dozen: A Saint Nicholas Tale retold by Aaron Shepard and illustrated by Wendy Edelson (Atheneum, 1995). This retelling of the old Colonial American legend features a baker from Albany, New York, named Van Amsterdam. He’s very honest and his goods are eagerly snapped up by the villagers, especially the St. Nicholas cookies he bakes every December. One day, an old woman comes into the shop and asks for a dozen St. Nicholas cookies. He gives her twelve, but she insists a dozen is thirteen. He is, if nothing else, exacting, and gives her twelve and only twelve. Before she leaves, the woman chastises him for being stingy. From then on, everything he bakes is a disaster, and he gradually loses all his customers. Bereft, he asks St. Nicholas for help. 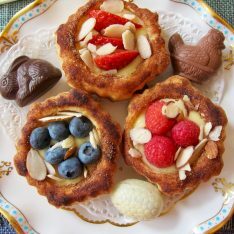 He has a wondrous dream that night that convinces him to “give more.” When word gets out that Van Amsterdam considers thirteen to be a dozen, customers flock to his bakery. Edelson’s exquisitely detailed watercolor illustrations immerse the reader in an Old World setting and capture the spirit of the holidays. 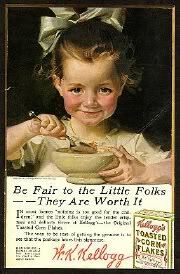 A wonderful seasonal tale about the joy of giving, the rewards of generosity, and the origin of the baker’s dozen. The Duckling Gets a Cookie!? by Mo Willems (Hyperion, 2012). In this 7th book of the wildly popular series, Pigeon is a little more than distraught when he learns Duckling got a cookie just by asking (politely). To add insult to injury, it’s a cookie with nuts! Pigeon then mentions many things he’s asked for (walrus, candy, hot dog, hug, to drive a bus), and DIDN’T get. After this rant he declares it’s totally unfair and begins to feel sorry for himself. Once again, he asks Duckling, “Why did YOU get that cookie!? 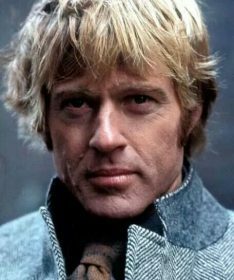 !” Quite a surprise when Duckling replies, “So I could give it to you.” Told wholly in Willem’s high octane dialog, the story is actually a sweet lesson in politeness, sharing, and expressing gratitude. Nice contrast between overwrought Pigeon and soft spoken Duckling. Big lesson in a small space. Fun! 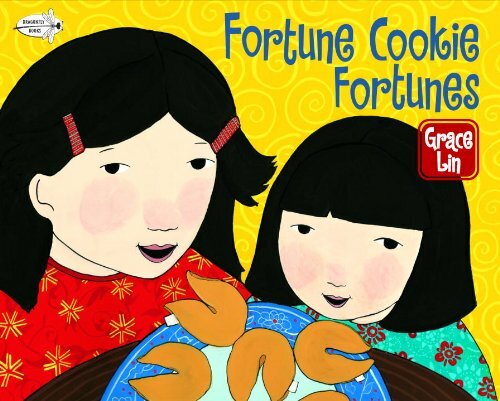 Fortune Cookie Fortunes by Grace Lin (Alfred A. Knopf, 2004). Everyone knows fortune cookies are the best part of a Chinese meal, but do fortunes really come true? The young girl who narrates this charming story certainly thinks so! Ma-Ma’s fortune says “Attention and care will make great things happen.” How else to explain how well her garden is growing (giant fruit and vegetable plants!). Or what about older sister Jie-Jie creating a roomful of beautiful origami animals (“Your imagination will create many friends”)? 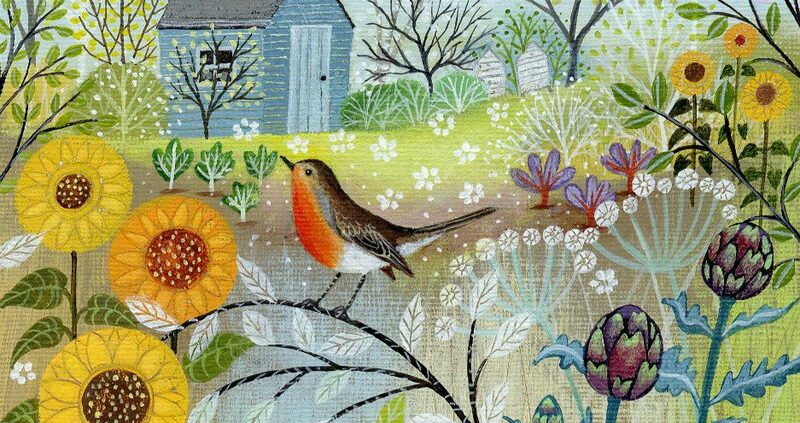 When younger sister Mei-Mei refills the bird feeder, a beautiful flock of colorful birds arrives (“Your smallest action will attract many”). Our narrator then wonders about her own fortune (“You will see the world in a different way”), and cheerfully realizes that she sees the world in fortune cookie fortunes! Gorgeously illustrated in bold colors, this gem celebrates the magical way children perceive the things around them. *Includes a note about the origin of fortune cookies. 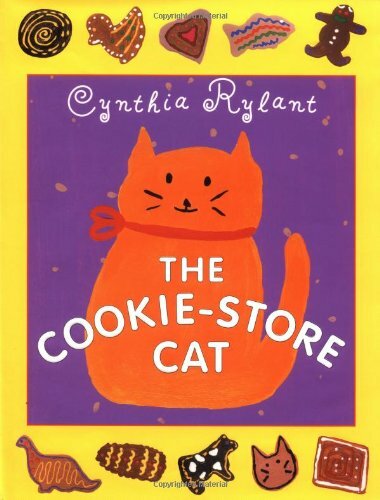 The Cookie-Store Cat by Cynthia Rylant (Blue Sky Press, 1999). A purrrfectly endearing cookie confection about a pampered ginger-colored cat who was found as a stray and adopted by a trio of cuddly bakers. He has his own little gray bed at the back of the bake shop, and every morning the bakers kiss him hello, telling him he is “prettier than marzipan” and a “gumdrop gem.” The cat then goes out to greet each of the shop owners on his street, and then returns to the bakery to nap beneath a sunny window. 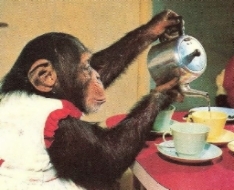 Every Monday he’s visited by Father Eugene, who chats with the cat over a cup of Irish coffee and three Scotch chewies. After school, when the kids come by for their treats, they cuddle and cradle him and scratch the top of his head. What a life! And so it goes through the seasons, every day with sweet tender moments and reciprocated affection. This feel good kitty charmer comes with 7 cookie recipes mentioned in the story. Me-wow! 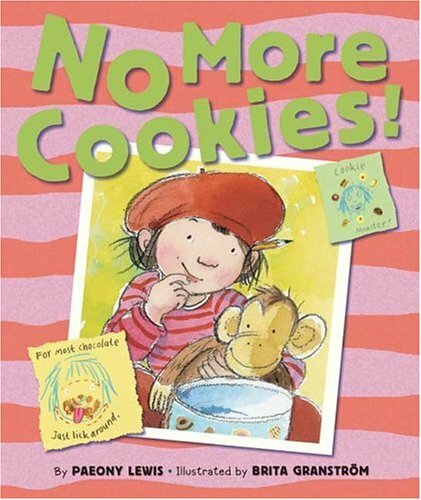 Do you know of any other good cookie picture books? 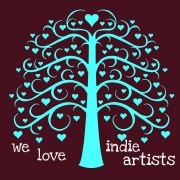 Please share them in the comments! If I think of another, I’ll let you know, but sorry, can’t think of any. I believe you’ve shared an astounding smorgasbord, all to bookmark, wow! I heard that “just one more” from Imi yesterday afternoon. I bought a pack of butter cookies with sprinkles to have for her, and she loved them! All of these look “delectable”, and the cover of “Who Ate All The Cookie Dough” is priceless! Thanks, Jama! Oh, will have to look for it. Thanks, Melissa! Can’t go wrong with cookie books + cookies to eat! Yummy indeed, Jama!! 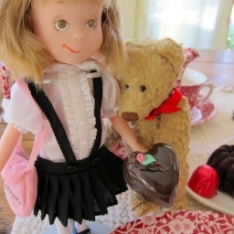 I am also a big fan of Gingerbread for Liberty :). And, BTW, I ate all of the cookie dough ;). 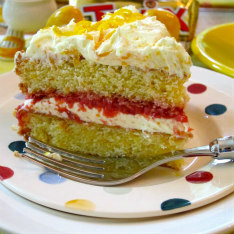 I know of other cookie pbs–just can’t think of any at the moment! But I will! And maybe I need to write one too!! 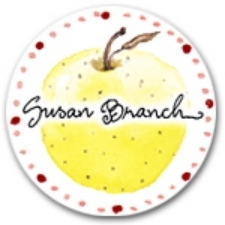 Oh–just thought of an NF one, Susan Goodman’s All in Just One Cookie. Thanks, I must be thinking of another book that came out this year. I thought of you and your love of Bogie when I read that book! gotta get these for my niece… I love your blog logo… it’s cute.